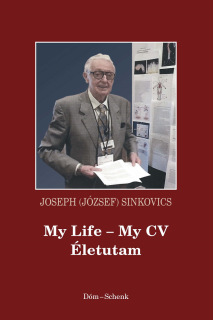 Dr. Joseph Sinkovics still stands as a live witness, who was first in the late 1960s to observe and photograph the hitherto unknown large granular lymphocytes in his own blood, which were killing allogeneic human tumor cells in vitro; and photographed both the small compact human immune T cells and the large granular NK cells of patients, as they were killing human sarcoma and melanoma cells upon encounter in vitro (Page 289 Ref ; Page 295 Ref ; Page 362 Ref ). He has been involved in the discovery of human lymphocytes cytolytic to human cancer cells; their increase during immunotherapy with viral oncolysate vaccines; and thus leading to therapeutic infusions of autologous immune lymphocytes in the 1970s to 2006 (Page 350 Ref ; Page 358 Ref ). It occurs to him now to ask how those ligands evolved that kill immune T lymphocytes by activating their PD-1 receptors (Page 368 Ref ). When low-branching single-celled eukaryotes (amoeba; giardia; trichomonads; theileria) transformed from free-living animal cells to be the parasites of large multicellular hosts with highly developed immune systems (including Homo), then these organisms needed those ligands to kill immune lymphocytes of their new hosts. If so, they carry the ancestors of those genes that encode the armada of these ligands in the human genome. How the theileria convert and lyse their bovine hosts’ lymphocytes (Page 369 Ref )! Its ancestors must have acquired genes to generate those ligands. Could anti-ligand mcab therapy applied for the treatment of parasitic infestations? How the triploblastic bilateral hosts (Homo), in their malignant cells acquired genes for those ligands: by vertical inheritance (where from? ), or through lateral (horizontal) gene transfers from ancient parasites (Page 365 Ref ; Page 367 Ref [629,630]; Page 369 Ref ). There should be a short time allowed for Sinkovics to speculate about that! Immunology and Molecular Medicine of the University of South Florida College of Medicine; at the Clinical Sarcoma as medical director at the Community Cancer Center and Cancer Institute of St. Joseph’s Hospital, Tampa, FL. He is retired professor of the University of Texas M.D. Magánpraxist kezdek Tampában egyetemi rangban.